We are a non-partisan non-profit campaign inspiring young Malaysians to exercise their basic political power to vote. We're not here to tell you who to vote for, we're telling you what your vote means. Malaysia has about 2.5 million non-voters between 21-30 years old. Our mission is to bring this number down by inspiring more of us to register to vote. We're also interested in political participation of youths. We want as many of us to know that we the youth could be the largest group of voters in Malaysia! We're also the largest group of non-voters in Malaysia. That's a lot of political clout we have yet to claim. Our demographic is powerful: We start trends, we make memes, we set the tone for culture, we are advertised to, we are targeted, we influence. But this feeling of power is lost when it comes to the nation-building process. Maybe it's because we were excluded from young, and raised to be career-driven consumers instead of citizens. Being registered to vote doesn't mean we know what's happening either! So we at Watan are committed to helping you be a better youth voter. While older politicians on both sides bicker for our votes, let's take a break from them to step into our power together. Let's first face the system built for us and understand it. If I focus on doing good work and stay out of politics, isn't that good enough? What should I know about the actual voting process? What should the person I vote for be doing, and how do I communicate with them for the next few years? How did they end up in the elections? How does anyone become a candidate? How are votes connected to policy-making? We want to answer these and more. And each day's video will only be five minutes! We can't promise to undo years of being excluded from the nation-building process by the older generation, but we do think it's possible to make you feel like your most powerful citizen self yet— in the total length of one comedy show episode. Stay tuned for updates on that here. Masjaliza Hamzah is the former executive director for WATAN, an NGO which campaigns for youths to register and vote. She has also led the Centre for Independent Journalism (CIJ) Malaysia and has worked and volunteered for Sisters in Islam (SIS). Masjaliza was also the elected treasurer for Bersih. She trained as an industrial engineer but became a journalist. During her decade at The Star, she was active in the union and with a handful of colleagues, organised themselves at a time when media activism was frowned upon in the Malaysian newsroom. She was the recipient of Suhakam's Human Rights Award for Media 2015. Liyana is the former publicity coordinator for WATAN. She has over ten years of working experience in the communications spectrum. 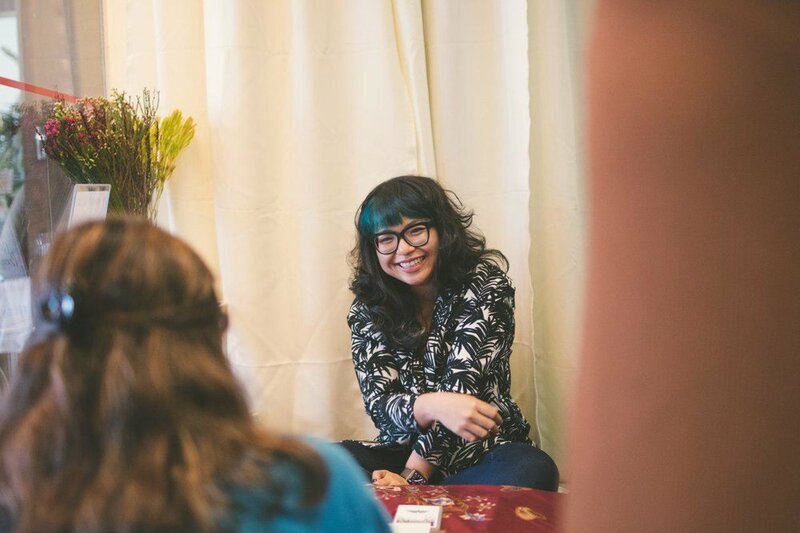 She spent about half of that time in publicity and reputation management with boutique agency Commas PR, rising from intern to Senior Account Executive with youth and lifestyle portfolios such as Red Bull Product of Europe, Urbanscapes, and Good Vibes Festival. She graduated with a degree in Communications from a local university before interning with the weekend programming team at BFM89.9. In 2015, she obtained a Cambridge Certificate in English Language Teaching to Adults (CELTA). Liyana is interested in content and strategy to solve knowledge gaps for audiences.